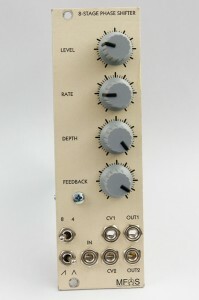 The SSSR Labs Mult 2×4 is a passive multiple module having switchable configuration: 2×4 or 1×8. 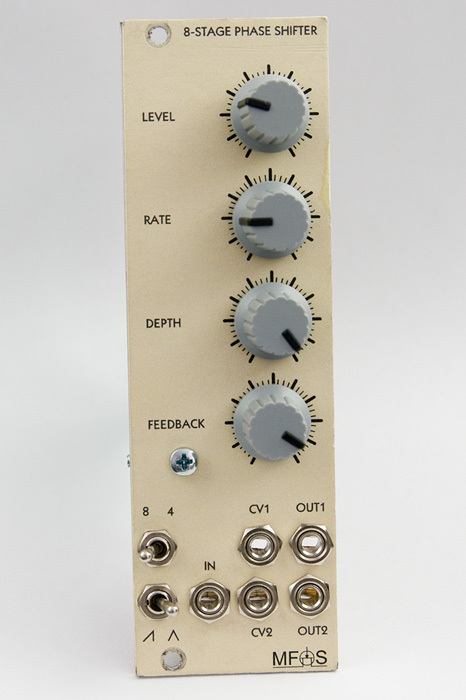 This module has the smallest possible width: only 2hp, which perfectly allows it to fit yet another gap in a modular synthesizer with useful function. The color coding helps user to select desirable operation mode. Black lines, left switch position: Dual 4-terminal multiple. Blue lines, right switch position: Single 8-terminal multiple. 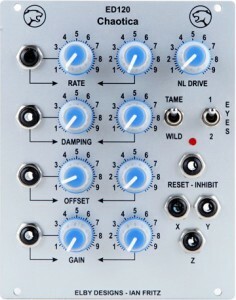 This entry was posted in and tagged eurorack, SSSR Labs., modules on 8 Oct 2015 by rpocc. Eurorack and Arduino. What common may be between a huge analogue rack and a brains for a toy robot? Perhaps it is openness of the both platforms and broad variety of existing solutions based on them. Nowadays it is not something outstanding to use a digital controller inside analog module, but Arduino also is respected for its simple and user-friendly development tools, allowing to create a device doing random tasks for minimum time and money. A couple of years ago Arduino chips had took their place in Eurorack modules. 4ms, Flame use AVR controllers in their products and Soundmachines specifically used Arduino to develop their Robotto and had published an SDK for it. And now appeared modules that are intended to be programmed by owners. The first one was utility-module Expert Sleepers Disting ($175), based on PIC32MX uC, then Circuit Abbey Euro-Duino ($145), based on Arduino as it comes from the name. The price for the DIY kit of this module is just $95 and it has lots of fun within! So, let’s take a closer look at the module. This entry was posted in Reviews and tagged Arduino, AVR, Circuit Abbey, eurorack, Expert Sleepers, modules, reviews, DIY on 20 Aug 2014 by rpocc. 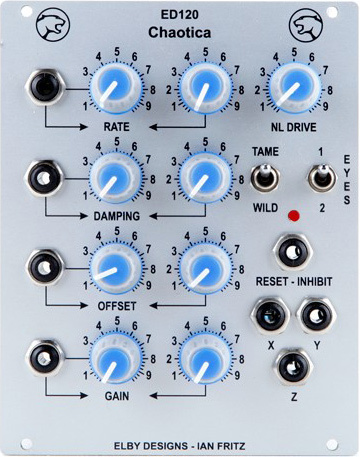 High-tech eurorack module Matrix Mixer by latvian company Erica Synths should appear by the end of July. Module is a hybrid matrix DC-mixer, controlled with 3.2″ touchscreen. Analog part consists of 10 DC-coupled inputs and 8 DC-coupled outputs. 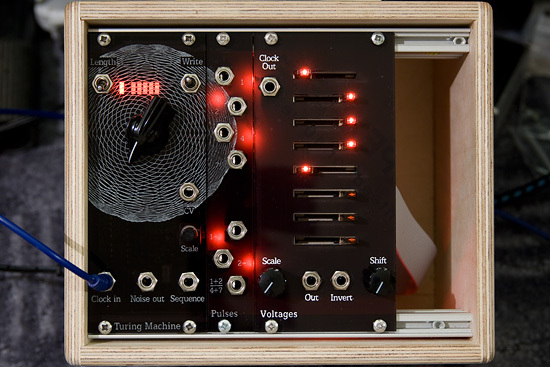 The main interface resembles 10×8 Synthi-style matrix with virtual pins, controlled by touches. This pins connect respective input and output with unity gain. it is possible to store up to 256 patches — individual settings, and to create a performances — chains of settings, which can be succeeded by single or pre-defined serie of pulses passed to Clock input. The price is unknown at the moment. This entry was posted in Announces and tagged Erica Synths, eurorack, Announces, modules on 14 Jul 2014 by rpocc. This entry was posted in Reviews and tagged eurorack, L-1, THAT2180, components, modules, reviews, DIY on 16 May 2014 by rpocc. Pitch bend now works in all modes. Aftertouch assignable to CV2 Out. 2-voice Split mode at Channel +4 in Multitimbral mode. 2-voice Intellectual duophonic mode at channel +5 in Multitimbral mode. Fixed bug with Voice two acting as Trigger in polyphonic mode. Thanks to all donators! I mean it, thank you, guys! I’m glad to create as perfect code and design as I can. This entry was posted in Imporvements and tagged eurorack, hexinverter.net, MIDI, modifications, modules on 30 Apr 2014 by rpocc. This entry was posted in Reviews and tagged Elby Designs, eurorack, modules, reviews, sites, DIY on 24 Jan 2014 by rpocc.